It's been a while since I posted here, so I apologize logging in only to promote my creation. So as you may or may not know, I've been working on a project that sort of tributes the game we love so much called Vectronic. I've been working on the project since late 2012 on the Source Engine. Earlier this year, I made the decision to port it to Leadwerks 3, which allows total freedom of distributing the project how I wish. 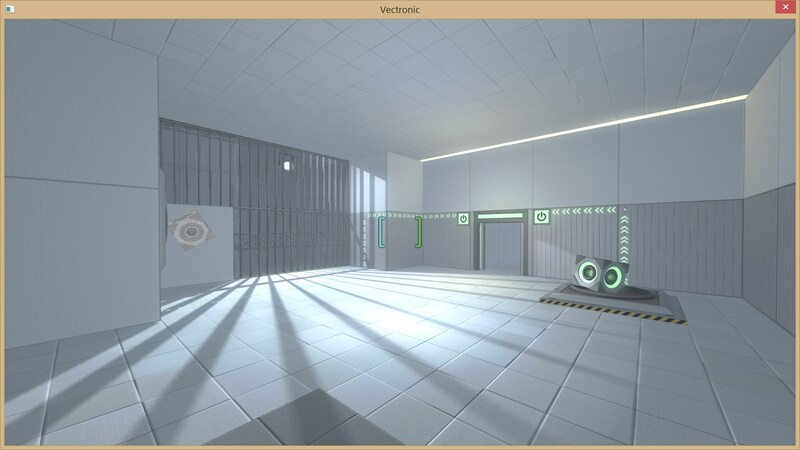 Vectronic is a first-person environmental puzzle game inspired other games of the same genre such as Portal, Quadrum Conundrum, and Q.U.B.E. Players must solve puzzles using special power balls that effect boxes that changes their behavior in the world. I'm happy to announce that a playable demo is available for Windows and Debian based Linxu Distro's (Ubuntu, Mint, SteamOS), and you can get the demo here. For help running/issues, please see this page. Leadwerks uses OpenGL 4 for rendering. So make sure you have a compatible graphics card. This is a very short but playable demo I composed to green light the idea on the new engine. Keep in mind that the demo does not reflect the final product, and was put together within 2 months. Feedback is welcomed with opened arms, and I hope to see some feed back soon! Follow the progress on Trello! The more you give, the less appreciated it will be received. This looks really cool based on the videos I've seen, I'll have to check it out some time. It will be rather interesting to see a 1st person puzzle game that sorta has that portal-esque feel in a different engine. It's hard to comment on the gameplay because there isn't really a whole lot to comment on. The mechanics seem like they're interesting, but there's nothing that really demonstrates much depth. I guess that makes sense for an early demo, but I'd really like to see more puzzles. Onto the nitpicking! The smoothed mouse movement feels really sluggish. I'd either make the smoothing snappier, or get rid of it entirely. I have to put in too much effort for something as simple as looking around. Placing boxes was a bit awkward for two reasons. First of all, they stay fixed relative to your view, rather than moving out a certain distance from your camera. If you get up real close to grab a box, that box will stay really close to your face until you put it back down, which is really inconvenient. Secondly, their physics starts to panic if you try to place them "inside" of a wall. When I try to put an anti-gravity box on a wall button, I have to let go of it in the little area that causes the button to depress that isn't actually pressing up against the wall, because otherwise the button will start drifting away from the wall. Pair this with movement controls that don't let you do finesse adjustments very well, and it becomes kind of a pain. At first I thought the different abilities were things that I had to bring cubes to, rather than something I had to pick up. I don't know how you could make that more obvious, but hey, feedback. The overall graphical style is super washed out. I adjusted the levels on a screenshot and got this (original). One last thing I noticed is that you can crouch while jumping, which does this really weird thing where the camera moves down while the player moves up. Well, I finally get to play with this thing. After a few years. Im blue, a Clean Christian Furry with Autism. you could have just told me instead of posting a condescending image. my day is already going terrible, thanks for being inconsiderate and making it that much worse. i was just trying to be helpful. sorry. as i said my whole day is going terribly. i misread the image as more of a "see? look, its right here stupid!" rather than trying to make it easy to see. Looks interesting. I'd be happy to give it a go. Oh hey, this topic actually got somewhere. A week later since I posted the demo, I've made an number of improvements (mostly on the AMD/Linux side of things), and I'm hoping to re-upload the demo very soon for those who had issues before. I'm waiting for future updates on Leadwerk's side to continue the project further then just a few tweaks here and there. @Idolon I added a new settings option to control the camera speed. As for picking stuff up, right now I'm using a modified block of code that's given in their FPS template. I wish to improve the pickup system eventually. Yeah, I gave him the green light. Punt was a mod I was working on, then it became Vectronic, and now Vectronic is a game. I'm willing to give anyone those old files/builds if they ask. Anyway guys, I'll keep you guys posted on the update(s). And please let me know what you think via e-mail, or PM. The program can't start because OpenAL32.dll is missing from your computer. Try reinstalling the program to fix this problem. Is there a readme file anywhere? [b]For help running/issues, please see this page. The game can be extracted to anywhere on the disk, there are zero DRM measures. I was really looking to make some maps (even had ideas for some small story mod) for Vectronic, until it moved to Leadwerks. 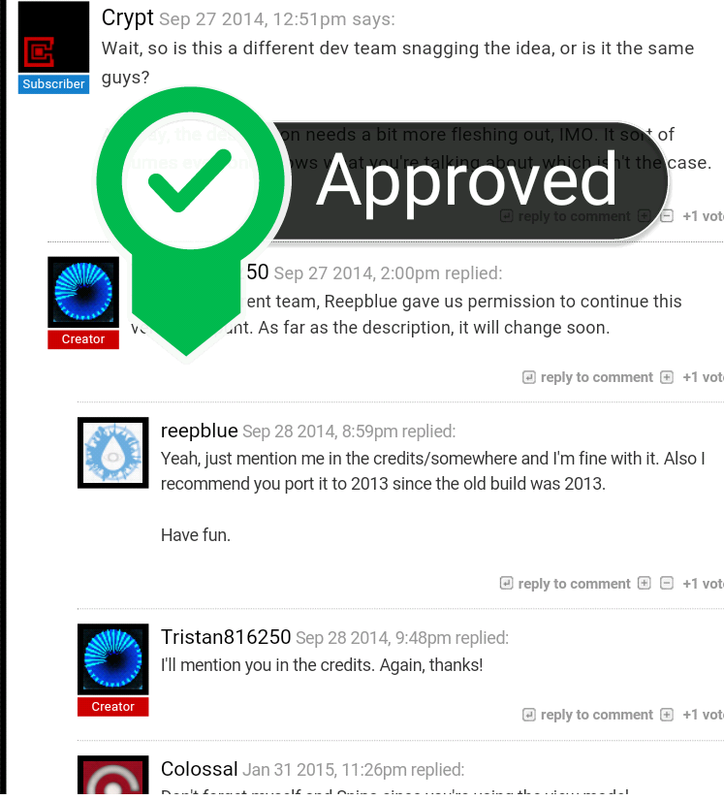 So if it's really possible to get Source builds/files, I would really like to get them.